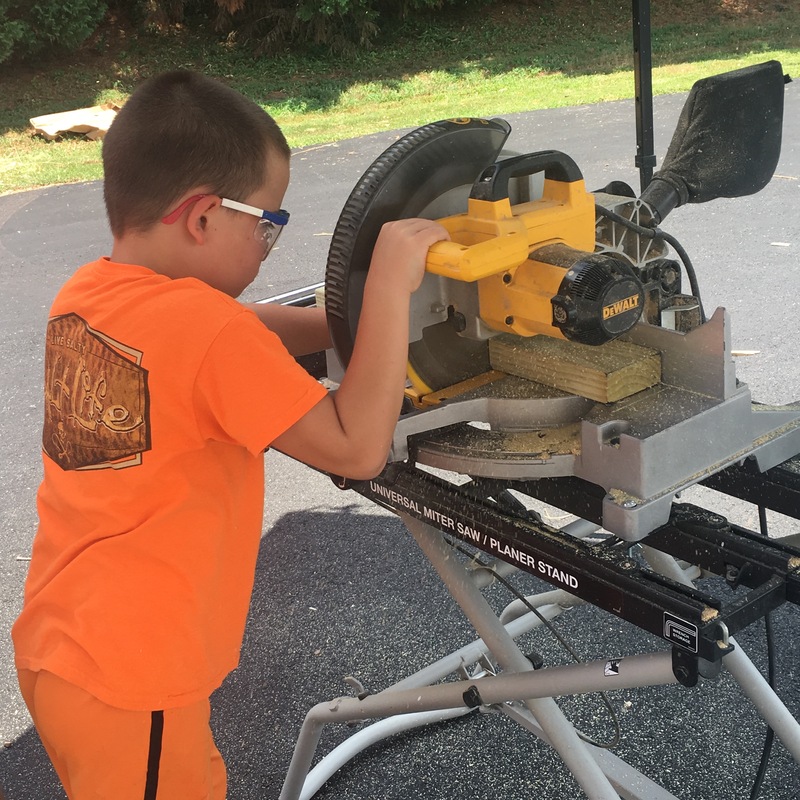 An Albemarle County Public Schools student uses a miter saw. Image courtesy of Pam Moran. What does “Maker Education” really mean? What does it really look like? These are the questions that we asked ourselves repeatedly as we worked to shift the curriculum at Albemarle County Public Schools towards maker-infused learning. By the time we started to think about writing a book about our experiences, we were already in our third year of using the Maker Faire—and the trip to New York from our homes in the Blue Ridge Mountains—as an immersive learning experience for our teachers; we had already teamed with Maker Ed to turn our summer schools into Maker Camps; we had already infused “making” into all of our schools. Those conversations led us into an evolved understanding of our work: we realized we were not introducing radical new ideas into schools. Rather, we were moving to bring the essentials of how children learn, how adolescents learn, how humans learn, back into everyday education. Humans learn best by doing. They learn through hearing and telling stories. They learn through imitation. They learn through play. 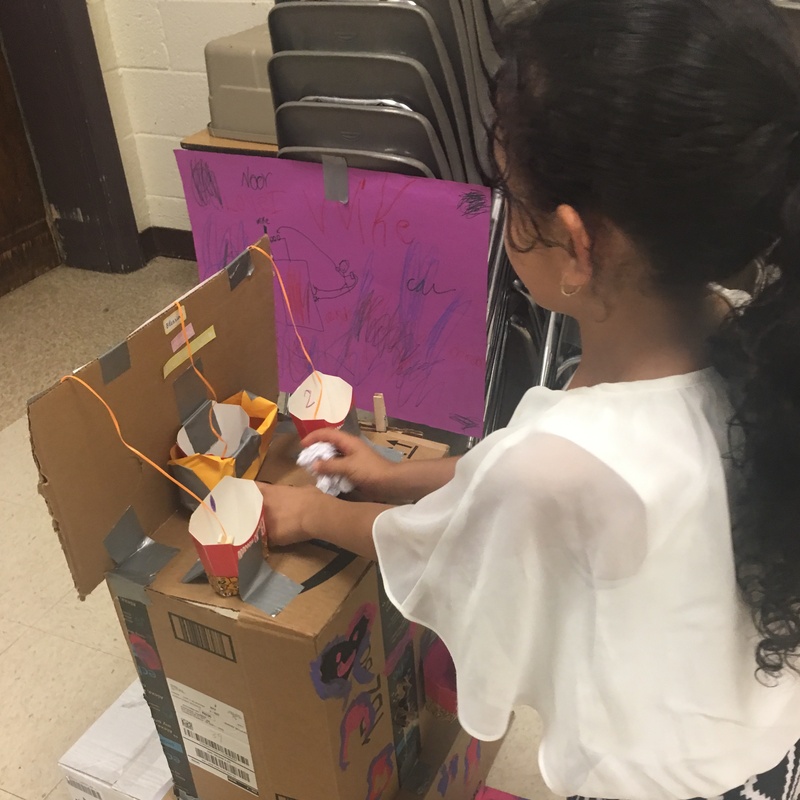 And they learn most through the complex task of building something—whether that be an arduino-powered fire alarm or a play designed to help heal Charlottesville’s wounds. “Making,” that act of assembling, is the culminating work in any real learning environment. 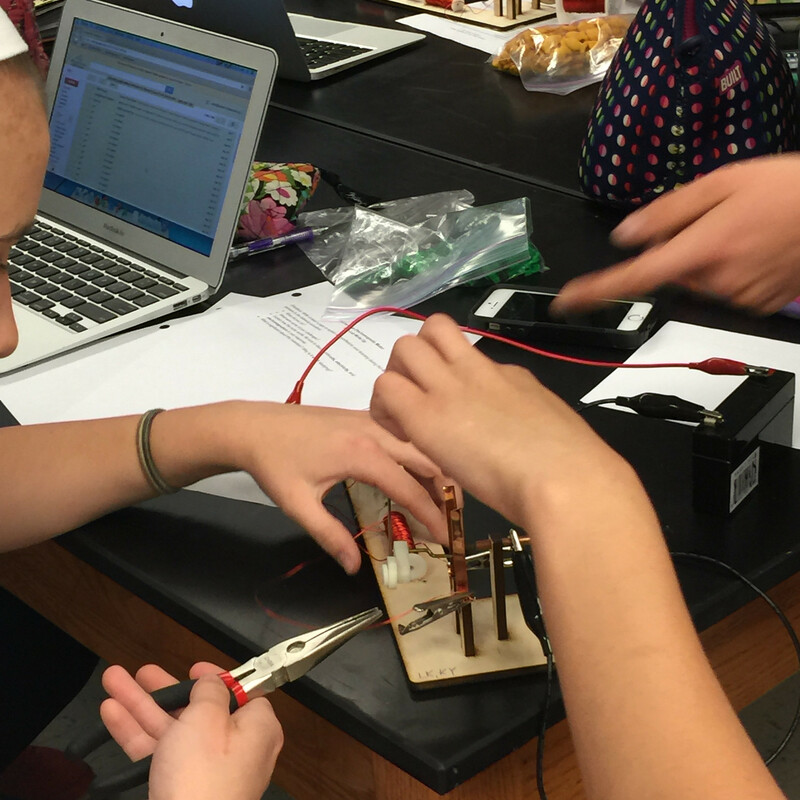 Two students work on a circuit project together. Image courtesy of Pam Moran. Making lies at the heart of our work. As Chad always says, “project-based learning is adding context to content, but maker education is adding content to a student created context.” Kids decide what they are going to do, and we adults fit content learning into those efforts. When middle school kids wanted to build rolling tree houses for their cafeteria, that became a learning experience in math, science, communication, and leadership. Building an arduino-driven laser device to help baseball pitchers throw strikes became a crash course in math, science, entrepreneurship, and language arts. Recreating the first telegraph system was a master class in history, science, math, complex reading and research. Building bridges across streams to make a trail accessible resulted in deep knowledge of math, engineering, and societal needs. The projects our kids create become their learning space, and they become the owners of their education, and that changes every child. It opens opportunities for every child to succeed. It eliminates the barriers to success that the existing school environment throws in front of so many kids. 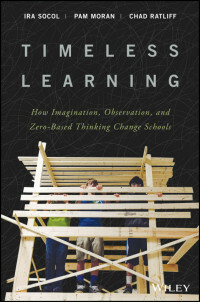 Our search for ways to truly transform K-12 education for every child culminated in the writing of our book Timeless Learning: How Imagination, Observation, and Zero-based Thinking Change Schools. This book began in conversations the three of us have had since 2009, and is built around real work in a district of highly diverse schools. But truly, we found our initial impetus at the World Maker Faire in New York three years ago as we talked with our friends from Maker Ed and Make Magazine. A young girl demonstrates her project. Image courtesy of Pam Moran. Timeless Learning is not a guide or a “how-to.” Instead, it is the story of our pursuit of doing the right thing for every child. It is the story of a work in progress, the story of making a new future for children. And for that story to continue and evolve, it needs all of your efforts to help us get to where we need to be. Timeless Learning: How Imagination, Observation, and Zero-based Thinking Change Schools is now available in bookstores everywhere.